The workmanship and attention to quality details speak loud to the care and concern of the technicians making it happen. From the quote to delivery, and trouble free performance for years to come, Santa Fe Aero Services brings the best in avionics installations. Santa Fe Aero Services' technicians have installed hundreds of Garmin products, since their origin. Whether you are upgrading a single com radio and a portable GPS in a 1930's biplane to a full blown dual G600 turbine glass cockpit, Santa Fe Aero Services has been there and brings the highest quality and experience to your cockpit. Meeting ADS-B equipage rules for NextGen airspace just got easier — and more beneficial — for thousands of aircraft owners worldwide. With the introduction of the GTX 345 series of Mode S Extended Squitter (ES) transponders, Garmin provides a one-box, one-swap solution that enables owners and operators to meet ADS-B requirements with minimal expense, downtime and disruption to their panels — while providing all the weather and traffic benefits of ADS-B “In.” Contact Santa Fe Aero Services today to schedule your installation. In alliance with JetTech, Santa Fe Aero Services brings today’s glass panel safety and reliability to the Citation C Series Aircraft 500, 501, 550, 551, S550, 560, all CJ's up to and including CJ3. Upgrade for much less than you think. Click here to learn more. Over 45 Aspen PFD/MFD Glass systems recently installed. There is no substitution for experience, which in this business saves your time and your money. The Aspen Avionics product line is impressive and the most affordable way to bring state of the art glass panel safety to your cockpit. Click here to learn about Aspen's current promotions. The workmanship and attention to quality details speak loud to the care and concern of the technicians making it happen. From the quote to delivery, and trouble free performance for years to come, Santa Fe Aero Servicesbrings the best in avionics installations. Face-to-face knowledgeable ground training is provided on all installations at no charge. 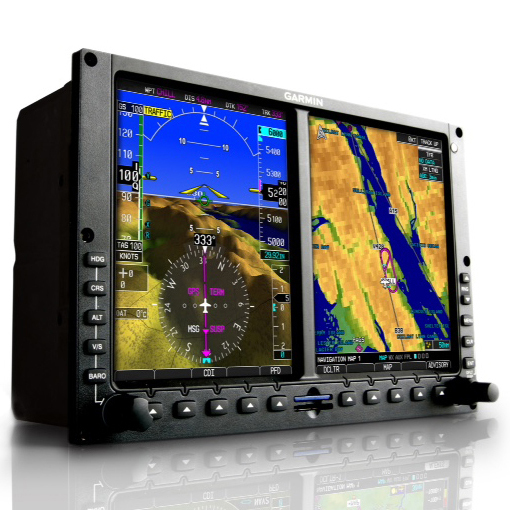 Whether a Garmin WAAS GPS or an entirely new glass panel, Santa Fe Aero Services takes the time to demonstrate everything installed, making certain you are entirely comfortable with the new upgrades to your aircraft.